The Noble Sanctuary ("Haram al-Sharif" in Arabic) complex, located in the Old City of East Jerusalem, contains the Dome of the Rock and Al Aqsa mosque and is the third holiest site in Islam. Known as the Temple Mount to Jews, it is believed to be located on the spot where two ancient Jewish temples once stood, making it the holiest site in Judaism. Following Israel’s military occupation of East Jerusalem in the June 1967 War, Israeli authorities prohibited Jews from praying in the Noble Sanctuary/Temple Mount to avoid provoking religious discord with Palestinians and other Muslims, many of whom feared that Israel had plans to take over the site for Jewish use (as was later partially done with the Ibrahimi Mosque in Hebron). At first, only a small group of mostly messianic religious Jews wanted to pray in the Noble Sanctuary, while most rabbis opposed Jews stepping foot on the Temple Mount for theological reasons. However, over time support for the idea that Jews should be able to worship inside the mosque complex, and even that it be replaced with a Jewish temple, grew. During the 1970s and 1980s, several plots by Jewish extremists to blow up the Noble Sanctuary were uncovered by Israeli authorities, confirming Palestinian fears that the sacred site was under threat. By the early 2000s, a growing number of rabbis were sanctioning visits and prayer in the Noble Sanctuary. In October 2000, then-opposition leader Ariel Sharon toured the complex, accompanied by approximately 1000 armed security officers, in a provocative declaration of Israeli sovereignty, sparking unrest that spiraled into the Second Intifada, or uprising, against Israel’s occupation. Mirroring the broader hard rightward shift in Israeli society, by the end of the decade government officials were visiting the Noble Sanctuary, the Education Ministry was encouraging school children to do the same, and an Israeli Vice Prime Minister, Silvan Shalom, was the guest of honor at a conference held by fanatics of the Temple Mount movement. “The State of Israel directly funds various Temple movement activities. In the years 2008- 2011, the Ministry of Culture, Science and Sports and the Ministry of Education supported the Temple Institute and the Midrasha at an average rate of NIS 412,000 [approximately $150,000 USD] per year. In 2012, the Midrasha, the educational arm of the Temple Institute, received NIS 189,000 [approximately $48,000 USD] from the Ministry of Education. 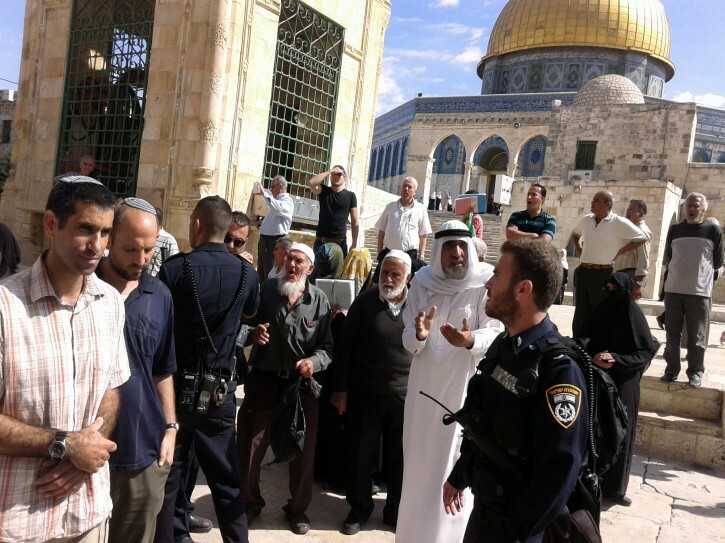 Amongst the most high-profile supporters of the Temple Mount movement is Deputy Speaker of the Israeli Knesset (parliament) Moshe Feiglin, whose rise in recent years vividly illustrates the shift in Israeli attitudes towards the Noble Sanctuary. Once considered a marginal figure and a political liability in Prime Minister Benjamin Netanyahu’s Likud party, today Feiglin leads its most powerful faction, the extreme right-wing Jewish Leadership movement, and sits as a deputy parliamentary speaker, appointed by Netanyahu himself. Feiglin, who advocates paying Palestinians to leave Israel and the occupied territories and has a long history of racist and inflammatory statements about Arabs and Muslims, has been leading a push in the Knesset along with fellow legislators such as Miri Regev and Deputy Foreign Minister Zeev Elkin, also from Netanyahu’s Likud party, to assert Jewish sovereignty over the Noble Sanctuary and to allow Jewish prayer there. He visits the site regularly and has been arrested on numerous occasions by Israeli police for worshiping. On March 21, 2014, Feiglin’s Jewish Leadership faction circulated a newsletter featuring an article entitled "The Fear of the Jews Was Upon Them." The piece, by Brooklyn-born Rabbi Nachman Kahana, cited the Bible in calling for the expulsion of all Arabs from Greater Israel and the destruction of the Noble Sanctuary in order for the third Jewish temple to be built. Kahana is the brother of Rabbi Meir Kahane, the late founder of the Jewish Defense League and the Kach movement, both of which have been outlawed by the US and Israel as terrorist organizations. The previous month, the Knesset discussed a proposed law submitted by Feiglin that would put the Noble Sanctuary under direct Israeli control. No vote was taken, but unrest broke out in East Jerusalem as a result of the debate. “Featuring a picture of the Temple’s Foundation Stone against the backdrop of the Dome of the Rock, it is very clear what ‘disgrace’ the writer wishes to eradicate." On October 29, 2014, Glick was shot and seriously wounded, allegedly by a Palestinian gunman who was subsequently killed by Israeli security forces, while emerging from a Temple Mount conference in Jerusalem. On February 21, 2014, a group of rabbis and heads of Jewish religious schools submitted a petition to the Knesset calling for Israel to take control of the Noble Sanctuary. On March 5, 2014, Knesset Interior Committee chairwoman Miri Regev, from Netanyahu's Likud party, formed a subcommittee to discuss the implementation of a government decision to increase visiting hours for Jews who wish to visit the Noble Sanctuary. On March 30, 2014, the Temple Institute, which is part of the Temple Mount Faithful coalition, held its fifth annual "International Temple Mount Awareness Day" with an Internet broadcast featuring Deputy Knesset Speaker Feiglin and others. In an interview prior to the broadcast, the institute's "International Director," Rabbi Chaim Richman, told settler media: "Today we are witness to a tremendous increase... record numbers of Jews ascending the Temple Mount in purity... 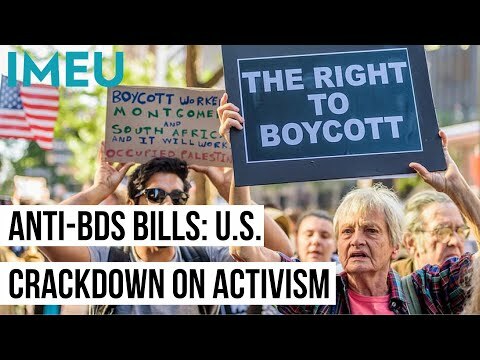 Especially today we see that even on a political level there are growing numbers of lawmakers and legislatures [sic] who are realizing that there's something very wrong with our accepting the status quo... More than anything, International Temple Mount Awareness Day is an indicator of the tremendous change that's going on in this generation. It's the beginning of the Temple revolution." In April 2014, five Jewish extremists were arrested after they attempted to conduct a ritual sacrifice of a goat inside the Noble Sanctuary for Passover. In May 2014, a lawmaker from the centrist Labor party co-sponsored a bill along with right-wing lawmakers that would have forced the Noble Sanctuary open for Jewish worship. After strong protests from the Jordanian government, which administers the Noble Sanctuary along with local Islamic authorities, the bill was withdrawn. In late September 2014, radical settlers took over 25 apartments in the Palestinian neighborhood of Silwan, just outside the walls of the Old City adjacent to the Noble Sanctuary. It was the largest such takeover of Palestinian property in the city in decades, ratcheting up already high tensions in the area.